How do you plan to get out to the water? Does your Sea-Doo live in your garage or storage part of the year? 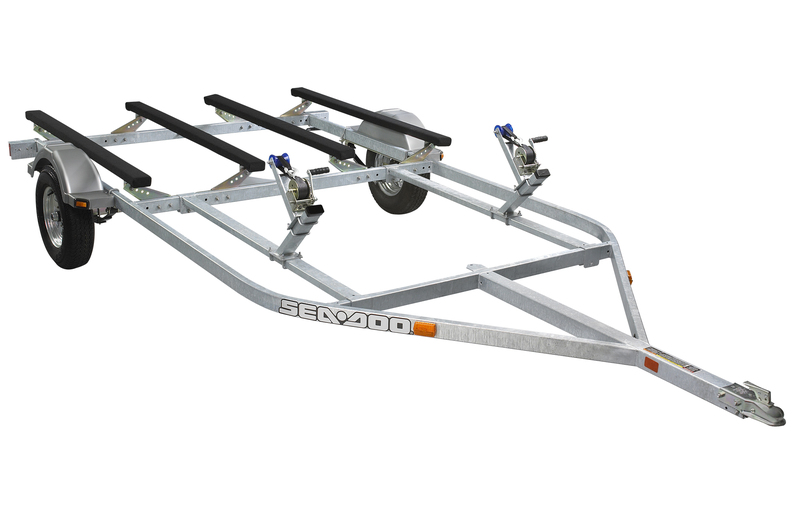 A Sea-Doo MOVE trailer is the ultimate transportation for your Sea-Doo watercraft. We have seven models to choose from and one to fit every preference, style and price. When the occasion calls for easy handling, great performance and smart innovation, you can never go wrong with a Sea-Doo Move trailer. 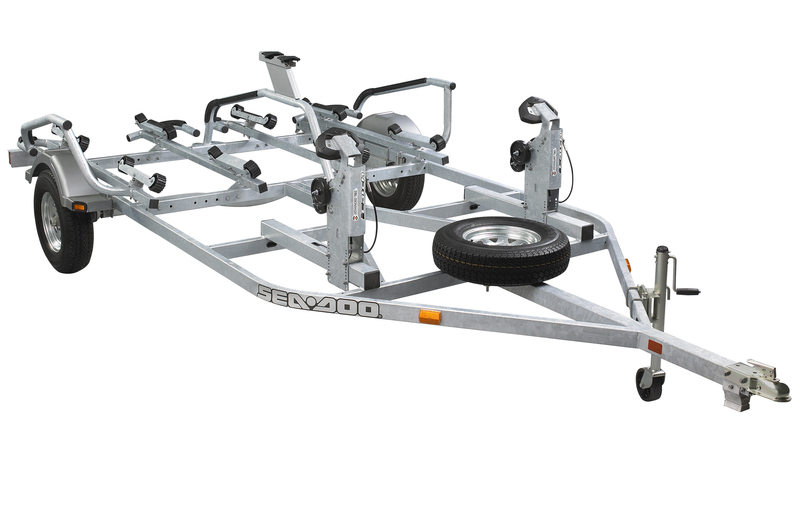 Unload and load your PWC in no time thanks to the trailers’ roller bunk system and a custom frame design that requires less water. All three models come with leaf spring suspension and are available in galvanized and black painted. New this year is the Sea-Doo Move I Extended made to suit BRP’s biggest PWC. It has all the same features mentioned above, but is 1′ 1” longer. The Sea-Doo Move I and Move II With iCatch trailers are the most innovative products on the market. The automatic iCatch and release system using a quick-snap handle built into the handle support eases manipulation as well as the process of loading and unloading the watercraft. The premium torsion suspension system provides low ride height and better handling. The innovative walk pad guidance system allows you to conveniently walk around to access your PWC. It also features an adjustable winch post with non-marking bow rollers. The premium torsion suspension system provides low ride height and better handling.